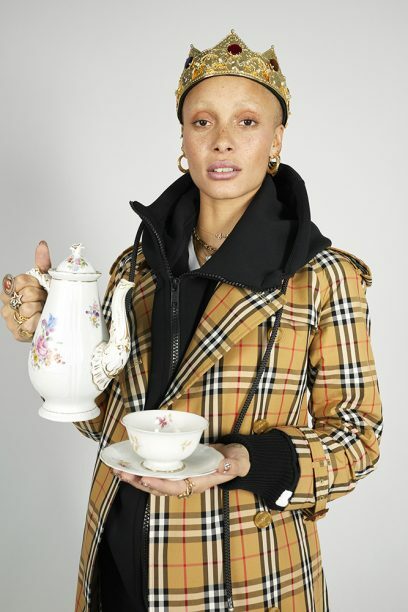 This May Burberry released the final part of its 2018 Pre-Fall ad campaign featuring and art directed by the British-Ghanaian model Adwoa Aboah. The portfolio is set in the model’s homelands: Juergen Teller shot the first installment in London, Aboah’s place of birth, moving then to New York where she is currently based. This last series follows the model to Africa. 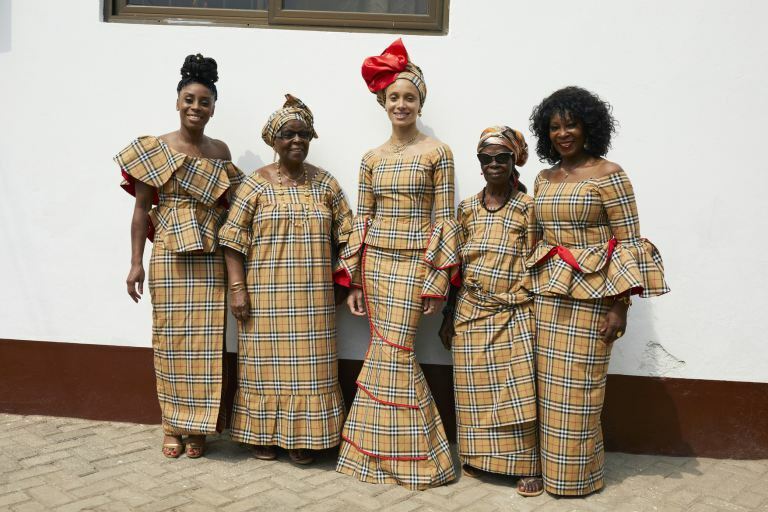 Aboah traveled to her father’s native country of Ghana, casting relatives and friends as models and having her aunt create custom outfits for the family in Burberry Vintage’s signature tartan. The commentary is then all about this homecoming and where Africa stands on Aboah’s existential map. 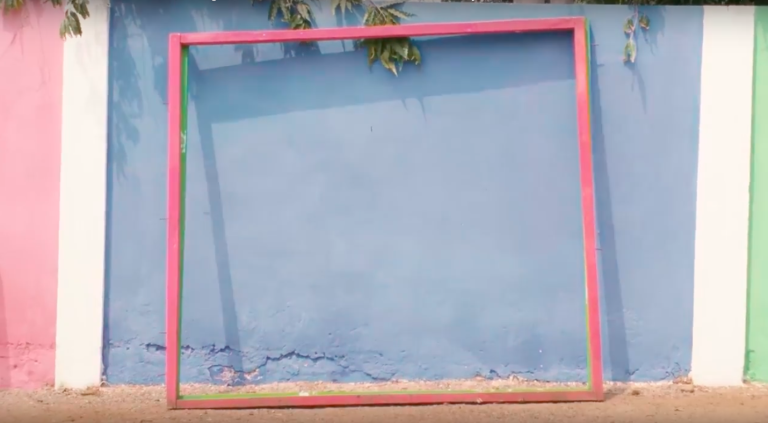 “Adwoa in Ghana”, the story appeared on Burberry’s website, features a backstage video (also available on Instagram) of Adwoa and Sonny Hall enjoying themselves on location and another montage of life scenes in Accra alongside Teller’s shots of the models in the new collection’s graffiti vests, “spirited motifs” and “clash of unexpected colour and contradictions”. Much more than in the previous installments, context is essential to establish Burberry’s “intimate” brief. 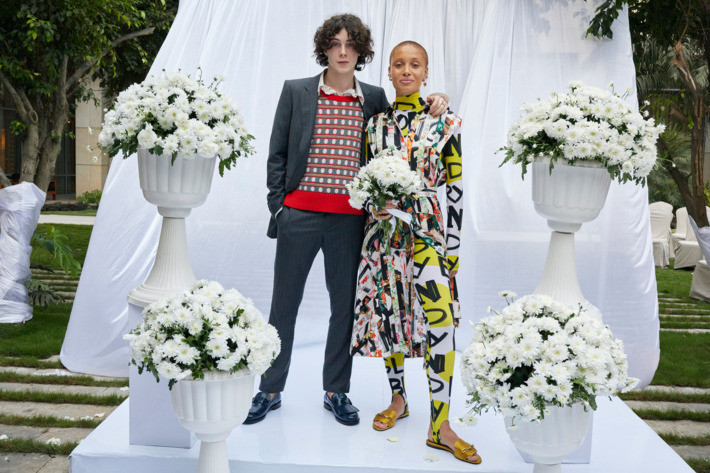 Accra is effectively Aboah’s supporting actor in the campaign, providing not just background but being a character in itself – the character that lends authenticity, and therefore commercial value, to the work. “Discover Adwoa in Ghana”, which I watched on YouTube, couples more backstage scenes, glimpses of palm-lined beaches and exotic backyards, with a voiceover of the model recounting her adventures in the country through the years, including eating fresh pineapple and watching Nigerian soap operas with her grandma. You experience the place’s sensorial and sensual reality. 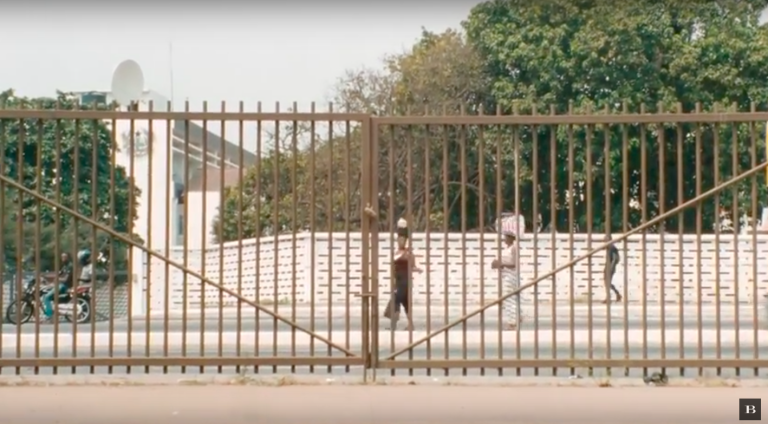 Africa is aesthetically present but in a more nuanced way than, say, in Kenzo’s 2017 video “Gidi gidi bụ ugwu eze” that has a more documentary approach. Burberry is evoking a “memory site” [Pierre Nora, 1989] made of personal impressions and fragments of time popping out of Aboah’s stream of consciousness. 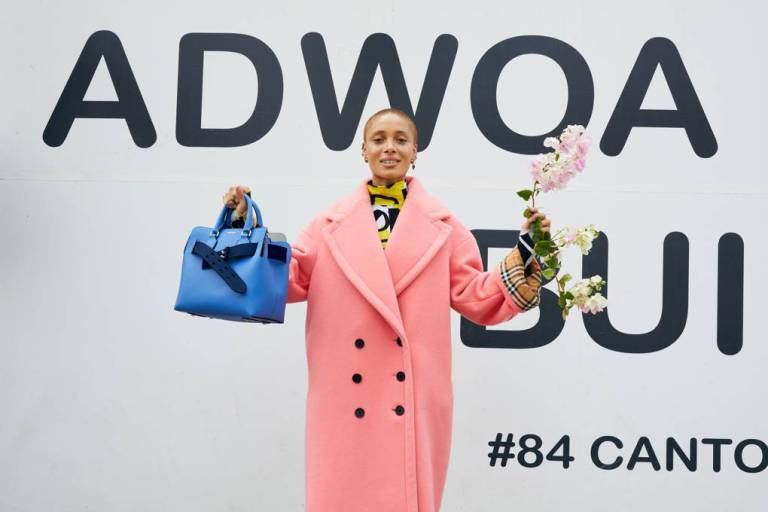 Following Aboah across three continents, revealing her feelings about relocating in the US and being of mixed heritage, the campaign has grown more intimate and emotional as it approaches the last stop. The African chapter is the happy ending of a coming-of-age story that comes full circle in Accra. The trouble of dealing with a missing “side of the story”, as she calls it, seems to end as Adwoa accepts Ghana’s “claim” on her. 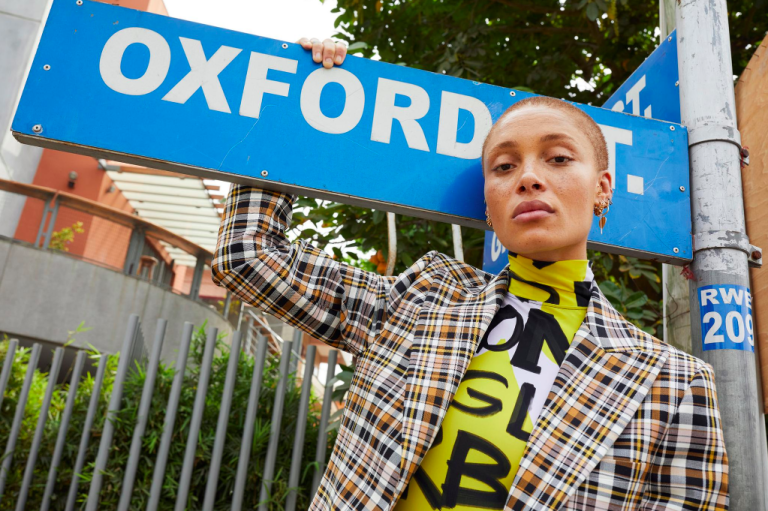 The model wrote on Instagram that the Burberry assignment gave her a chance to reconnect with “a place where I felt like an outsider but always wanted to belong”. She goes on to call Accra her “home away from home”, ending the post vowing “love and pride” for Ghana. The media and audiences have been quick to catch on this heart-warming celebration of family and return to the origins, with thousands commenting on Instagram and many more across other platforms. The intimate tone of the voiceover, the traditional cut of the auntie’s custom-made outfits, the lighthearted and playful atmosphere of behind-the-scenes establish relevance and quality, inviting users to identify with Aboah’s negotiation of belonging. You get the feeling of witnessing the model’s growth into a more complete and accomplished woman who has come to terms with a split identity, all the while delivering on the brand’s brief of pushing for authentic stories that get close and personal to potential buyers. 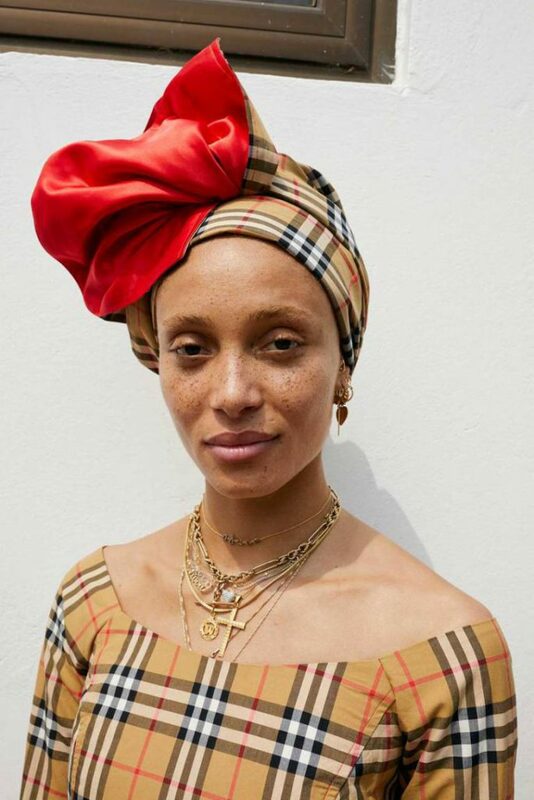 Ultimately, as with other brands’s campaigns set in Africa, Burberry’s portfolio proves that the continent (or at least some parts of it) is a marketing goldmine for fashion players. But can its cultural influence be as big as its aesthetic appeal? 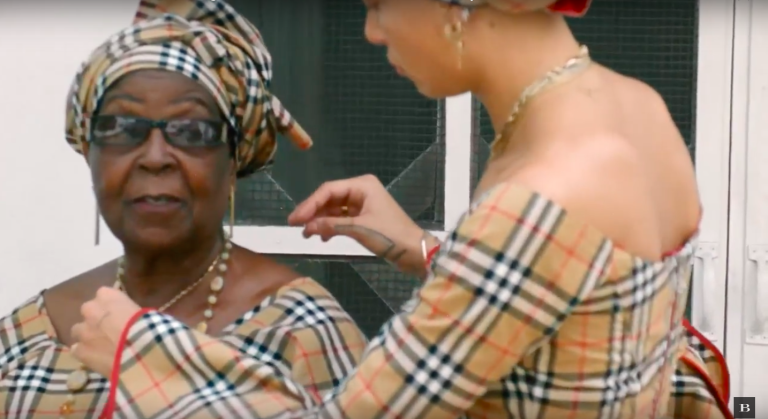 As I re-watch the promotional clips, I keep looking for hints about the crew to find out who actually contributed to their making; if, besides Aboah’s creative direction any other Ghanaian took active part in dreaming up Burberry’s African fairytale. I have found none. If you know, please post in comments.